"If they don't like it they can vote me out," the embattled commissioner said. "I'm allowed to go. If it was Vegas, it would be a problem. I'm in Florida. I'm not gambling." 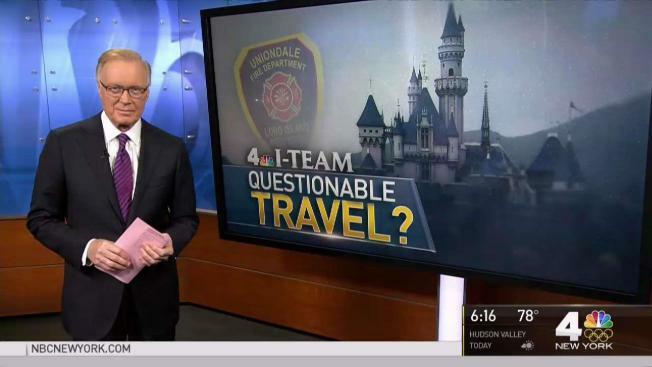 An embattled Long Island fire district is defending its travel habits after the I-Team discovered a fire commissioner using taxpayer funds to pay for a pair of trips to the same Disney World resort in a span of just four months. Chris Glorioso reports. He said taxpayers can vote him out if they're unhappy, saying it's not like it's Vegas. "I'm in Florida. I'm not gambling." An embattled Long Island fire district is defending its travel habits after the I-Team discovered a fire commissioner using taxpayer funds to pay for a pair of trips to the same Disney World resort in a span of just four months. Records from the Uniondale Fire District show Commissioner Richard Harris traveled to Orlando to attend the Fire Department Safety Officers Association Apparatus & Vehicle Maintenance Symposium in January and the Metro Fire Chiefs Convention in April. But in both cases, Harris booked his stay at the Walt Disney World Contemporary Resort, a hotel about 15 miles away from where the conventions took place. Credit card records obtained by the I-Team show Uniondale taxpayers shelled out between $350 and $500 a night for Harris' stay at the Disney resort. According to the fire conference websites, booking at the convention hotels would have cost much less -- between $145 and $180 a night. Harris said the full Board of Fire Commissioners approved of his more expensive off-site hotel and in one case the convention hotel was fully booked so he had to sleep somewhere else. He defended staying at the Disney resort, saying he spent most of his days at the convention hotels, attending seminars related to firefighting and examining the latest firefighting equipment. "There are classes down there, and I have a right to do that," Harris said. "We're taking trips to get education to protect this town." Uniondale taxpayers had mixed reactions upon learning about the Disney trips. "How are you going to go to a fire conference at Disney World?" said Uniondale resident Shantal Webb. "We pay our taxes for them to protect our community. Not to go on vacation." Hayden Victor, another Uniondale taxpayer, suggested one trip to Disney World might be easier to swallow than two. "I don't understand why they're going to Disney World -- twice," Victor said. But Harris, who said he has been on disability and unable to respond to fire emergencies for about a year, bristled at the suggestion his convention schedule this year was excessive. "If they don't like it they can vote me out," he said. "I'm allowed to go. If it was Vegas, it would be a problem. I'm in Florida. I'm not gambling." Though Harris has not traveled to Las Vegas this year, some of his fellow fire commissioners have flown into Sin City on the taxpayer dime. In just the first six months of 2017, Uniondale fire commissioners booked travel to six fire conferences, including trips to the Green Valley Ranch casino resort just outside Las Vegas, the Mohegan Sun casino resort in Connecticut and the Turning Stone casino resort near Syracuse, New York. The commissioners issued a joint emailed statement defending the conference schedule as educational. "In order to provide department members with the latest in training techniques, materials and resources, the district enrolls members and staff in a variety of educational seminars," the statement read. 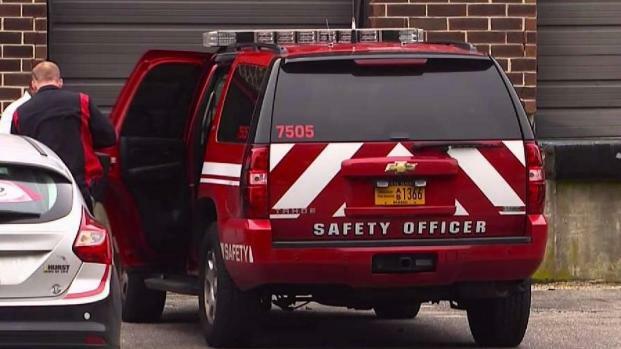 It is not uncommon for fire departments across the nation to book multiple trips to fire conventions, but Uniondale has been cited in the past for particularly loose spending on travel and perks. In 2011, an audit by the NY Comptroller found Uniondale fire commissioners made $44,000 in questionable credit card purchases and failed to properly monitor the use of official district vehicles. Two years later, after an I-Team investigation found one commissioner, Noel Thomas, took six convention trips in 12 months, Thomas conceded the fire district had been guilty of excessive spending. Last month, the I-Team discovered Thomas appearing to use several district-owned SUVs to commute to his personal job in Suffolk County. Thomas said he was using the vehicles to pick up fire equipment that happened to be on the way to his workplace. But the I-Team found other, unexplained trips that took fire vehicles out of the community they were intended to protect. E-ZPass records show Uniondale fire vehicles were used to make three weekend trips to southern New Jersey in February. On one of the trips, the driver leaves the New York City area in the afternoon and doesn't arrive back home until after 5 a.m. the following morning. E-ZPass records also show Uniondale fire vehicles making two trips to Massachusetts. Fire commissioners have so far declined to identify the purpose of those trips -- or the drivers of the vehicles. "It is suspicious to see a Uniondale fire squad car going all the way to Massachusetts and New Jersey," said Uniondale taxpayer Chamka Destina. "I think that is where it is like crossing the line a little bit." Still, some Uniondale taxpayers see no problem with multiple convention trips and unexplained vehicle travel. Richard Palencia, who co-owns a seafood market in town, said he sees no real problem with allowing Uniondale fire commissioners to take generous travel perks. After all, he said, commissioners not only manage the fire department's assets, but most are also volunteer firefighters themselves. "They do risk their lives, going out, you know," Palencia said. "So of course they might have to enjoy themselves."